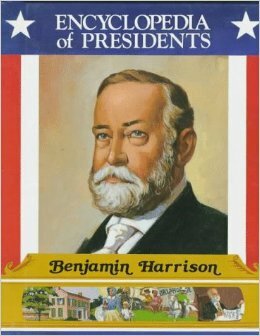 Benjamin Harrison was the 23rd President of the United States; he was the grandson of the ninth President, William Henry Harrison. 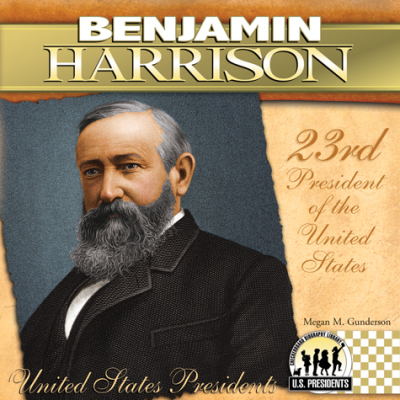 Benjamin Harrison followed the distinguished example of his grandfather William Henry Harrison all the way to the White House, winning election as the nation’s 23rd president in 1888. While his support for protective tariffs led to rising prices for consumers and arguably paved the way for the nation’s future economic woes, his bold pursuit of America’s foreign policy goals (including his proposal to annex the Hawaiian Islands) displayed his expanded vision of the nation’s role in world affairs. In 1890, Harrison signed into law the Sherman Antitrust Act, the first piece of legislation designed to prohibit industrial combinations, or trusts. Before the end of his first term, support for Harrison was waning even within the Republican Party. In 1892, he lost his bid for reelection to Grover Cleveland by a wide margin; he remained active in public life as a lawyer and public speaker until his death in 1901. From 1881 to 1887, Harrison represented Indiana in the U.S. Senate, arguing for the rights of homesteaders and Native Americans against the expanding railroad industry and campaigning for generous pensions for Civil War veterans, among other issues. A highly principled and devoutly religious man, Harrison broke with the Republican Party to oppose the Chinese Exclusion Act of 1882 (which aimed to close the United States to Chinese immigrants) due to its violation of rights given to the Chinese under an earlier treaty; the act passed without his support. Harrison lost his Senate seat after a Democratic victory in the Indiana state legislature in 1887, only to gain the Republican nomination for president the following year. Rather than travel around the country during the campaign, he gave numerous speeches to delegations that visited him in Indianapolis–an early example of so-called “front-porch campaigning.” In a controversial general election, Harrison lost the popular vote to the incumbent President Grover Cleveland by 90,000 votes but carried the electoral college, gaining 233 electoral votes to Cleveland’s 168 thanks to victories in the key swing states of New York and Indiana (where Harrison’s opponents later suggested that his campaign had purchased votes in order to win). During Harrison’s term in the White House, the lingering effects of an economic depression led to calls for more expansive federal legislation. A longtime protectionist, Harrison supported the passage of the McKinley Tariff Act of 1890 (backed by the Ohio congressman and future president William McKinley). For the first time in peacetime, Congress appropriated a billion dollars during Harrison’s administration, angering many Americans who saw the president and his fellow Republicans as too supportive of wealthy interests. On the other hand, Harrison lent his support to the Sherman Silver Purchase Act, which required the government to purchase 4.5 million ounces of silver per month, and bowed to the pressure of agrarians and reformers by signing into law the Sherman Antitrust Act, designed to prohibit industrial combinations or trusts. (Ohio Senator John Sherman sponsored both acts.) Harrison also continued his support of veterans’ benefits as well as his advocacy of forest conservation and the expansion of the U.S. Navy. 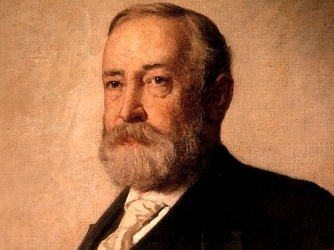 In the foreign policy arena, Harrison’s administration (including the president and secretary of state, James G. Blaine) displayed a growing American influence in world affairs. The First International Conference of American States (later the Pan-American Union) took place in Washington, D.C. in late 1889. Also, Harrison’s State Department successfully negotiated with Germany and Great Britain to set terms for an American protectorate in the Samoan Islands and opposed Britain and Canada to prevent the overharvesting of seals in the Bering Sea. Harrison was unsuccessful, however, in his attempts to convince Congress to back the construction of a canal in Nicaragua, as well as in his efforts to annex Hawaii in 1893. Up for reelection in 1892, Harrison struggled to overcome growing populist discontent, including some labor strikes. 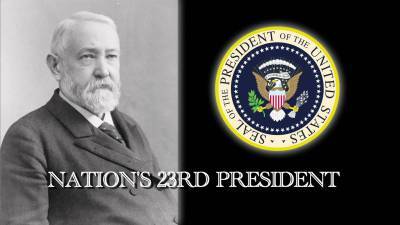 In the general election, he faced Grover Cleveland again, along with a third-party challenge from the Populist, or People’s, Party. The revelation that Caroline Harrison was seriously ill led to modest campaign efforts by both men and caused Harrison to limit his appearances in key swing states, contributing to the margin of his defeat. Caroline died of tuberculosis in late October, and two weeks later Harrison lost to Cleveland by an electoral vote of 145 to 277, the most decisive victory in 20 years. After leaving the White House, Harrison returned to Indianapolis and his law practice. 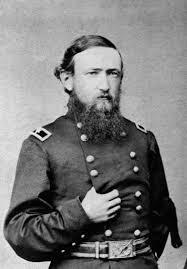 At the age of 62, he married Mary Lord Dimmick, his late wife’s niece, and caretaker; they had one child. In 1898, Harrison served as leading counsel for Venezuela in the arbitration of its boundary dispute with Great Britain. After spending almost a decade as a respected elder statesman and acclaimed public speaker, he died in 1901 of pneumonia.